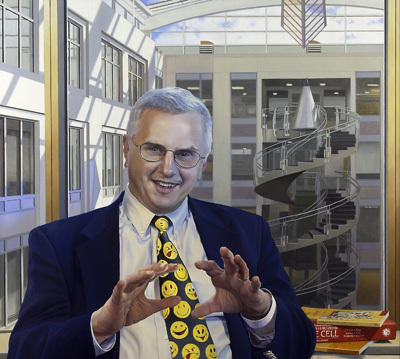 Dr. Alberts' official NAS portrait. 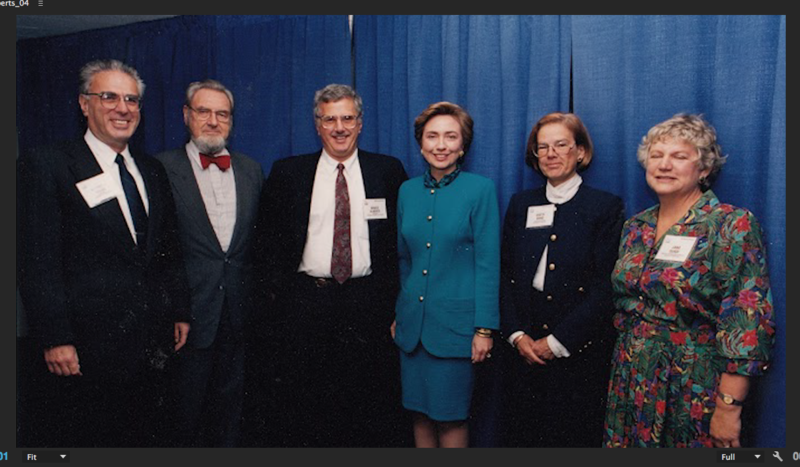 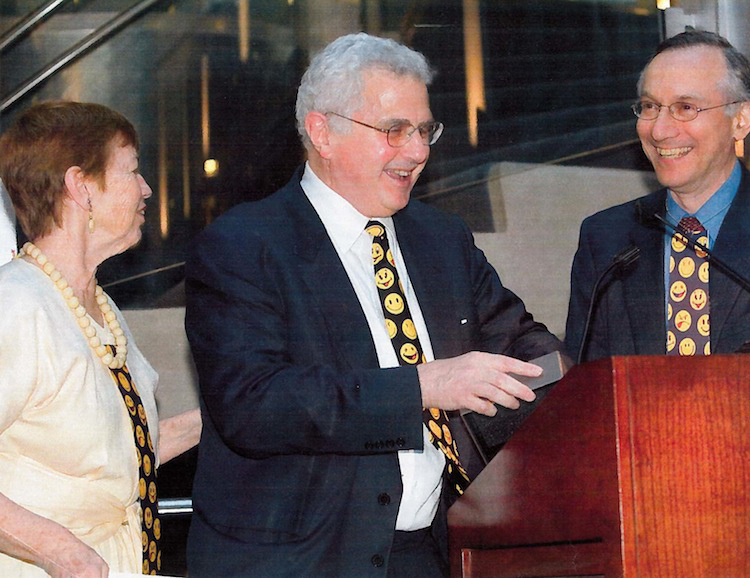 Bruce Alberts with Hilary Clinton and C. Everett Koop, in 1993. 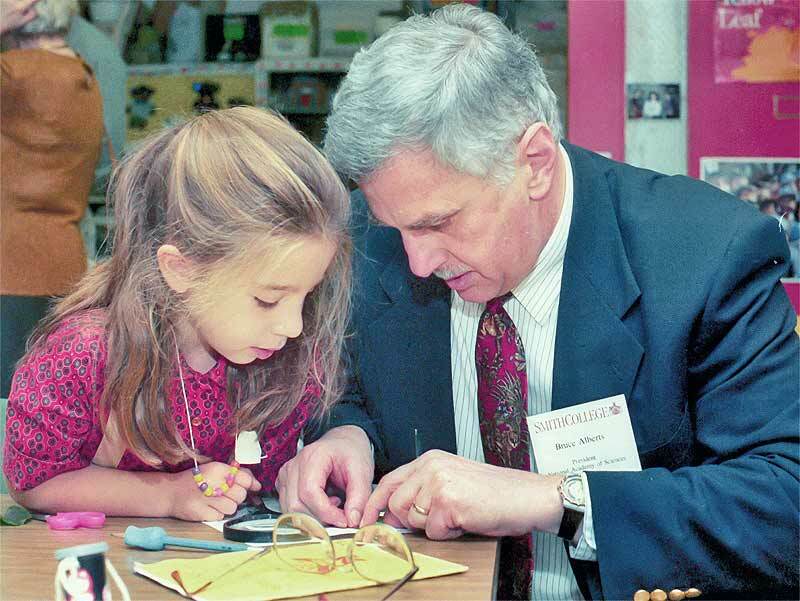 Bruce Alberts At Smith College with a little girl. 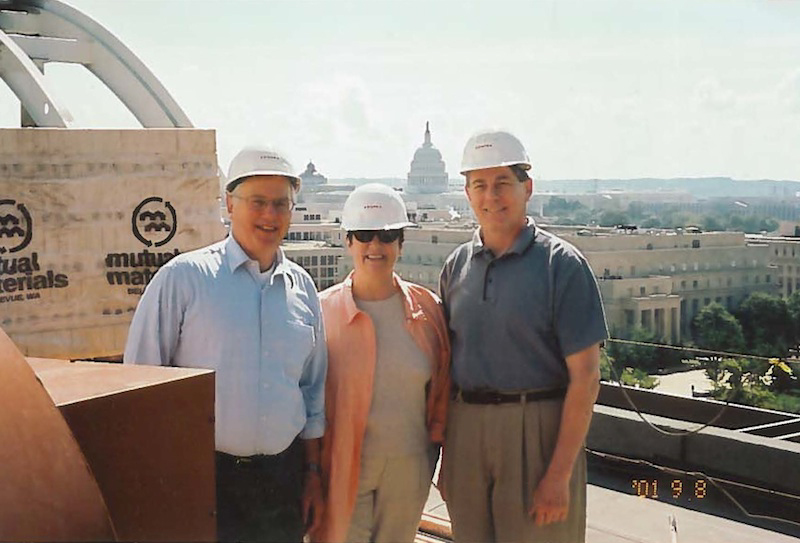 Dr. Alberts with visiting schoolkids at the Einstein statue in D.C.
Bruce with Sue Woolsey, NAS COO, and Joe Papa, construction manager, during construction of the new Keck Building, of the National Academies, 2001. 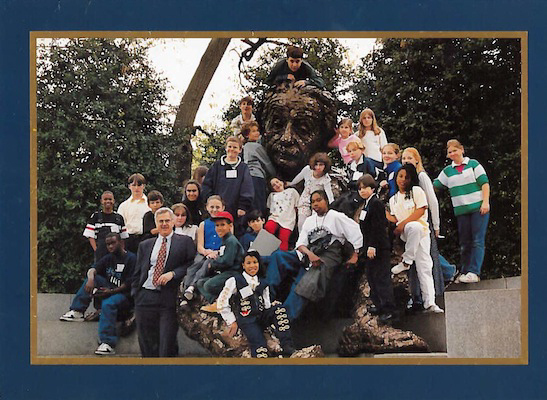 With M.S. 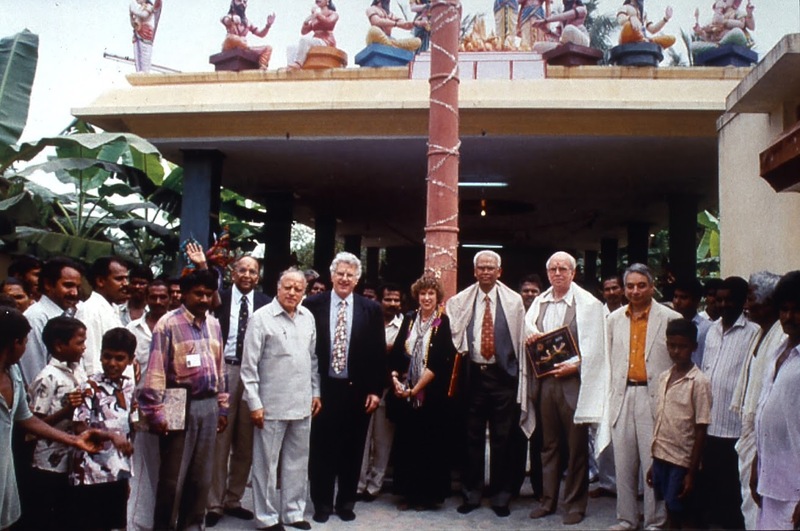 Swaminathan in Pondicherry, India, in the late 1990s.